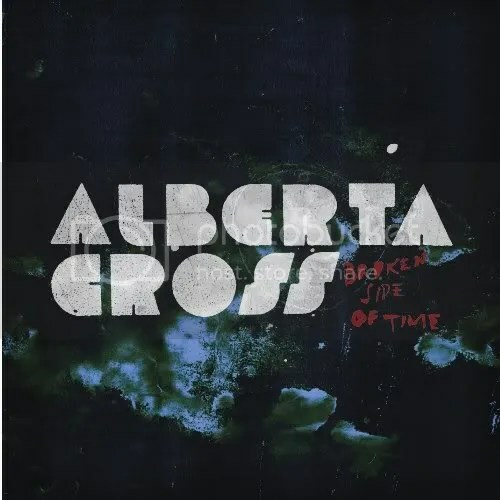 This week’s marvellous instalment comes from New York based rock band Alberta Cross and, more specifically their excellent 2009 debut album Broken Side of Time. It combines elements of country, pop and straight-ahead rock to form a refreshing and upbeat album that is one of those records you find that you keep playing. “How about believing? How about some faith? An immediate attack on an unnamed target not only presents some subdued anger, but also has hints of regret and sorrow that gives it a real fragility. The questions asked show that the narrator has reached breaking point and suggest in the following line that they’ve perhaps become tired of being blamed or being forced to accept defeat. Whilst these lyrics suggest the breakdown of love, the song’s title references disillusionment with city and it’s unforgiving nature. We could surmise then that the ‘honey’ referenced in the lyrics could be a personification of the city and that the anger that the narrator feels, or the truth that they wants is directed at an unnamed city that has broken them. Overall this is beautiful song and one that is of great value on an album of rock. Don’t forget you can get it in it’s entirety below and if you like what you hear, I really urge you to give Broken Side of Time, the album from which it’s taken, a listen. Alberta Cross are a band that are getting the success their music deserves and I for one, am a huge fan. Visit Alberta Cross and get the album.